"Indish Landscapes", as the Famous name concentrated to develop and create best design's bamboo gazebos in India, bamboo gazebo is a gazebo made out of bamboo, it is created from hard bamboo, we offer best design and decorative Bamboo Gazebos for residential and commercial clients, Our price of Bamboo Gazebos depends up on delivery and installation work. 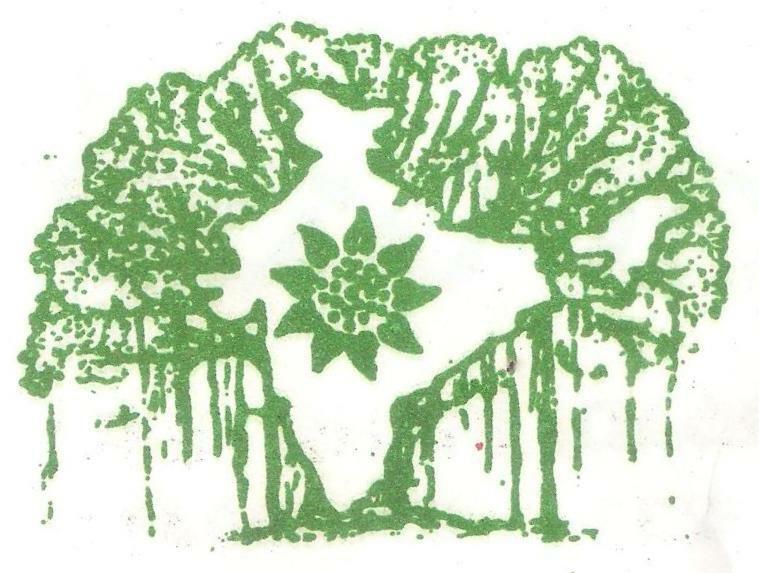 We also have our own plantation management team for development of Palm Trees, Ornamental Shrubs, Flowering Shrubs, Fruits trees, Exotic, seasonal. 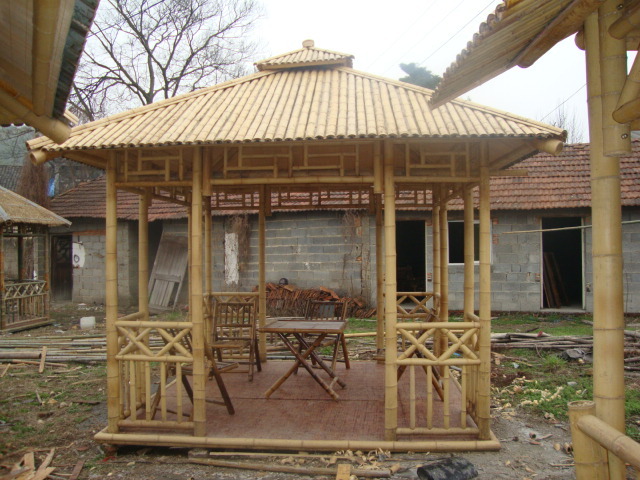 Bamboo Gazebos are used especially for gardens, It gives magic look to Gardens after adding natural Bamboo Gazebos, Indish Landscapes offer you different style and attractive looking in Bamboo Gazebos which are completely natural looking for your garden or greenery places. 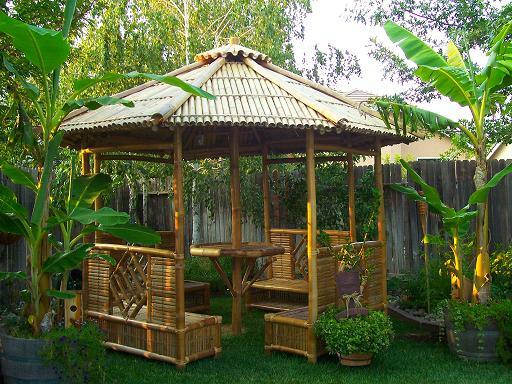 A bamboo gazebo is a best way to make your garden or backyard beautiful. Bamboo gazebo a unique feature for your garden, you can make your garden naturally and extremely beautiful after adding bamboo gazebo. Indish Landscapes can develop and install Bamboo gazebo in Uttar Pradesh, Madhya Pradesh, Maharashtra, West Bengal, Delhi, Noida, Gurgaon, Bihar, Tamil Nadu etc.